Tribune Chronicle / John Vargo Youngstown State's Natalie Myers, left, tries to get past Milwaukee's Jenny Linder. Myers came off the bench for a much-needed 12 points. DETROIT — Sarah Cash played a physical game. The Lordstown native is used to sacrificing her lanky frame for the good of the Youngstown State women’s basketball team. Her 24 points in Sunday’s 62-58 victory over fourth-seeded Milwaukee vaulted the fifth-seeded Penguins (15-14) into today’s Horizon League semifinal against top-seeded Green Bay. That wasn’t the entire story. 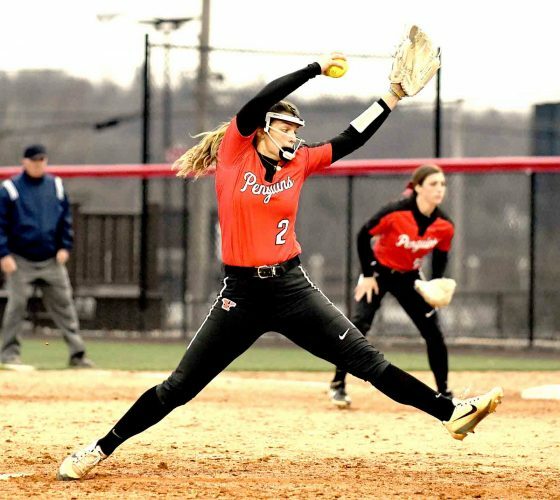 YSU coach John Barnes knew senior Kelley Wright has given her best for the Penguins the last 11 games as her team won nine of those heading into Sunday’s game. 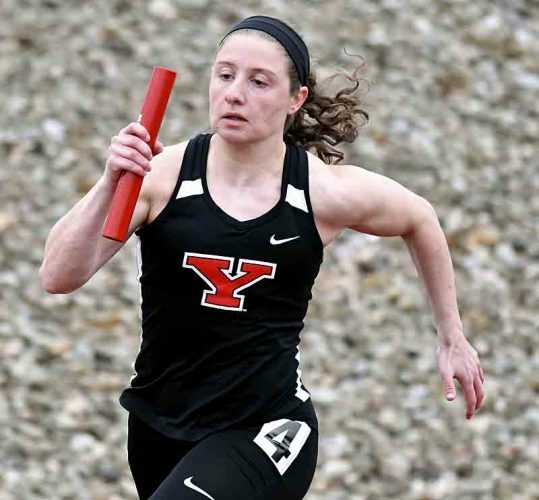 Her run at YSU came to a crashing halt in the regular-season finale against Cleveland State. A Vikings player fell upon Wright and broke her collarbone. Barnes knew he needed another player to fill the void. It had to be. On Sunday, that was sophomore Natalie Myers, a 6-foot forward from Lower Burell, Pa. Her first 3-pointer was a premonition of good things to come as she saw her long-range jumper bounce off the rim and in. It was the first of four 3s as she came off the bench for 12 points. Milwaukee coach Kyle Rechlicz, whose team ended the season 20-10, said the Panthers guarded the 3 since YSU had better success in the loss in Youngstown. They also knew Cash was going to get her points. The Lordstown native had about 30 in Milwaukee’s one-point win at home. Myers. She was the X-factor. “She’s the one I feel like, in essence, won them the game,” Rechlicz said. “We knew we couldn’t tighten up on four players out there. That would be a little too much. 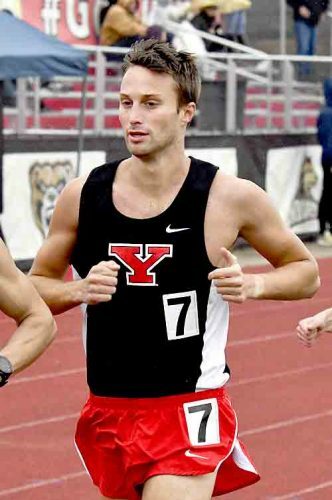 PREPARING FOR GREEN BAY: YSU was decimated by nationally-ranked Green Bay last time the Penguins took on the Phoenix. Green Bay beat a stingy Northern Kentucky team on Saturday to advance to the semifinals, 62-49. 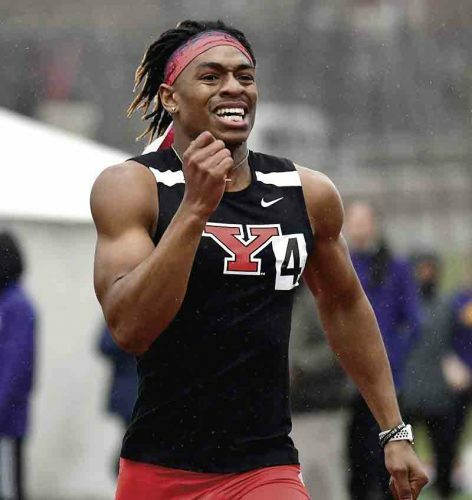 The Phoenix shut out YSU in the third quarter of the Feb. 17 game, 21-0, to go on to a 67-42 win. Not this time say the Penguins. “We need to come out strong and play hard the entire game, no matter what quarter or how much time is left in the clock,” said YSU senior point guard Indiya Benjamin. 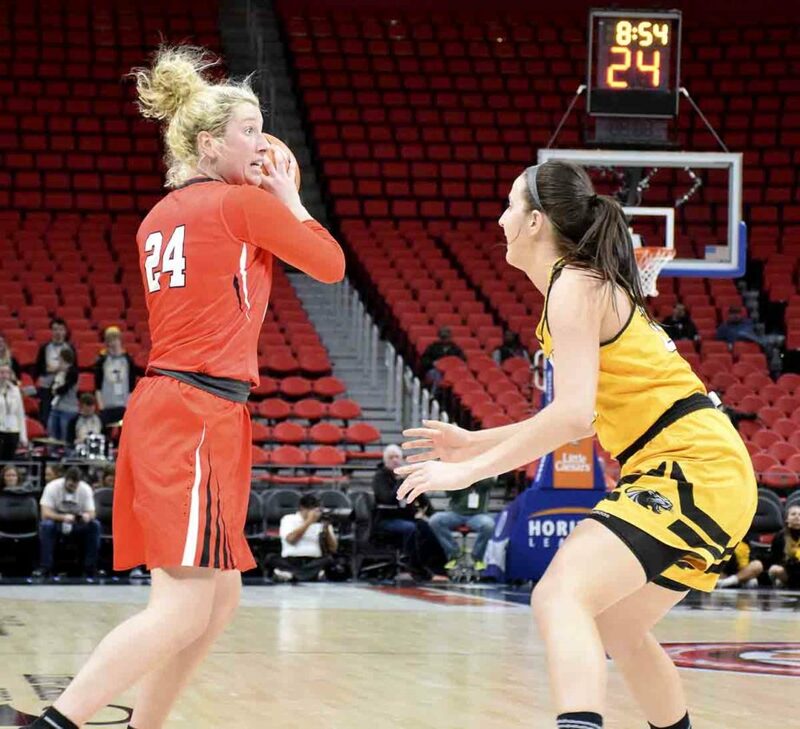 This Phoenix team, which has dominated almost every Horizon League regular-season and postseason championship, is led by senior guard Allie LeClaire (5 feet, 10 inches) and senior small forward Jessica Lindstrom (6-1). LeClaire had 21 points in Saturday’s win, while Lindstrom notched her 17th double double with 14 points and 12 rebounds. Barnes, an assistant at Green Bay prior to coming to YSU, said this is an extremely tough Phoenix team. Coach Kevin Borseth is one of the best in the business. Barnes said YSU has to have a near perfect game because Green Bay can force turnovers and rebound with about anyone.